Remember those giant posts I mentioned? Those ones up there? 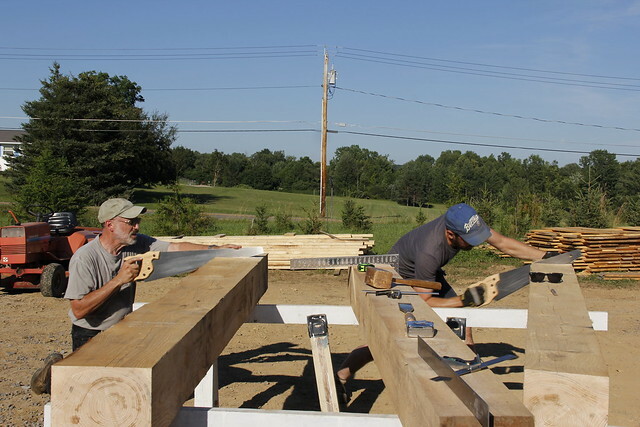 Well, before we could stand them up, we had to do a little prep work, which brings me to the first part of our timber frame journey! 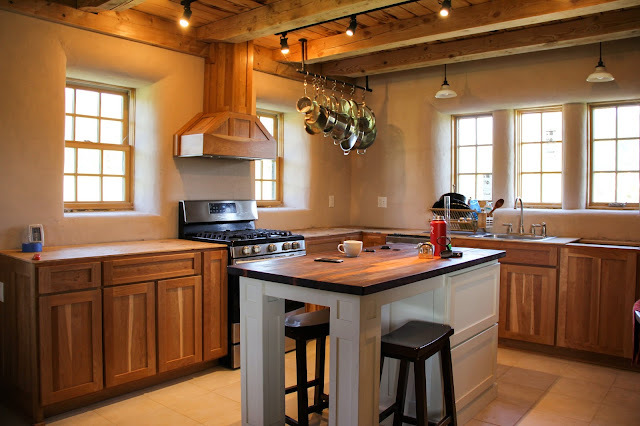 Immense detail goes into building a home, but even more so when you are timber framing. Cuts and measurements need to be precise so that everything fits together like a giant puzzle. 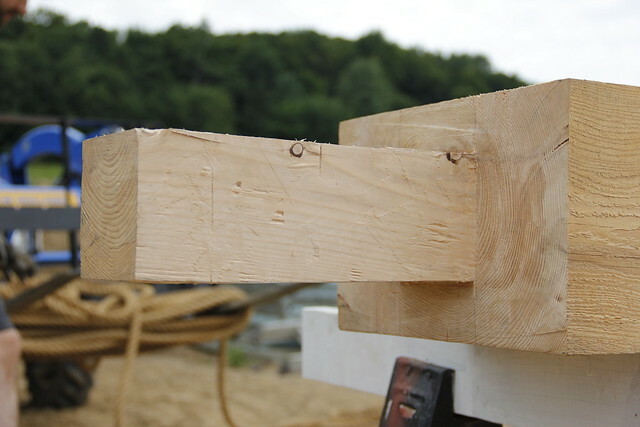 Each timber must first be squared. You sort of size up the timber. Meaning, you take some measurements, look at where the knots in the wood are based on what you're cutting (knots are much harder to chisel), and find the most square corner that will be your reference face. The reference face is the "truest" and most square face from which all of your lines are drawn. You mark the ends of the timber on the reference face and carry your marks around all four sides, always using the reference face as the guide. Once you have both ends marked, you can then mark the tenons or mortises . . . or both, depending. Or a scarf joint if you're being really fancy. A mortise is a pocket. A tenon is what goes in the pocket. A scarf is both in one, kind of. Once you've checked and double checked and had a friend check you marks, you start cutting. 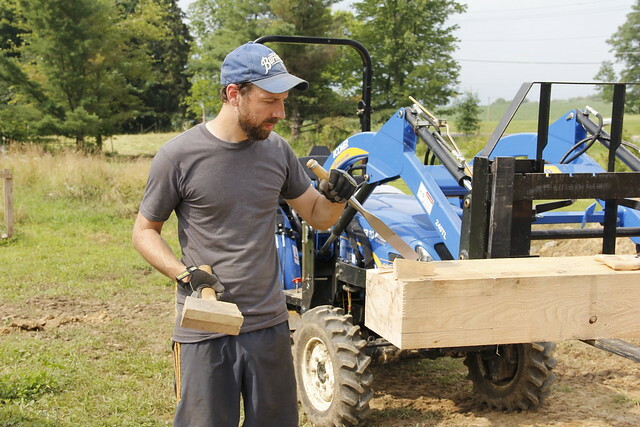 Generally, we started by squaring off the bottom of the ends of the timber. 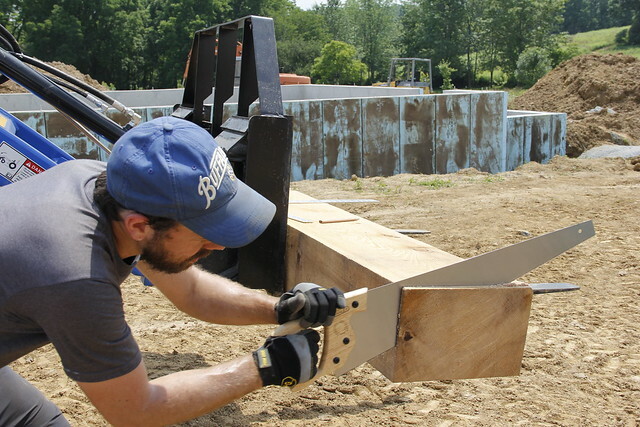 We went old school and used a hand saw because we found we were able to make the most accurate cuts this way. It's tiring, though, let me tell you! We did use skill saws to cut parts of the joints to speed up the process, but squaring was one thing we didn't have too much success with using the skill saw because you have to be very accurate with your cuts to get all four sides to line up properly. 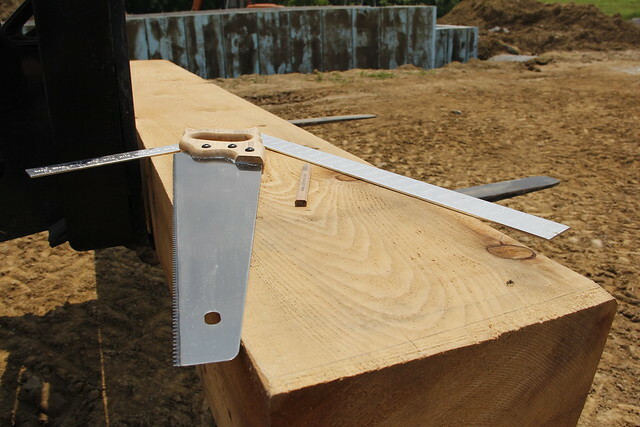 Using a hand saw allows you to cut down two sides at once and see two lines at once, which helps with accuracy. 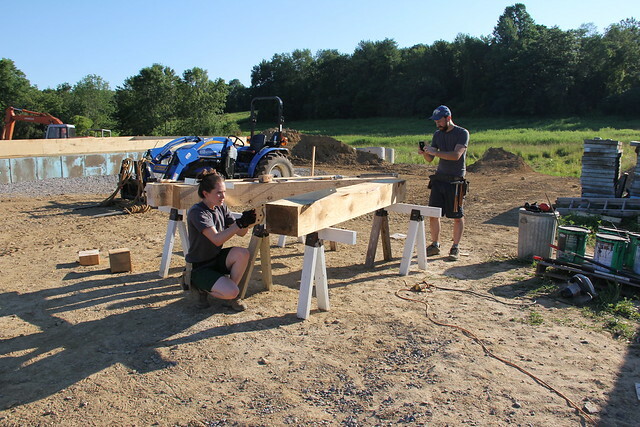 The basement posts have huge tenons on top to hold the main girders in place, and we chiseled those by hand. Once these were cut, the posts were lowered into the basement. 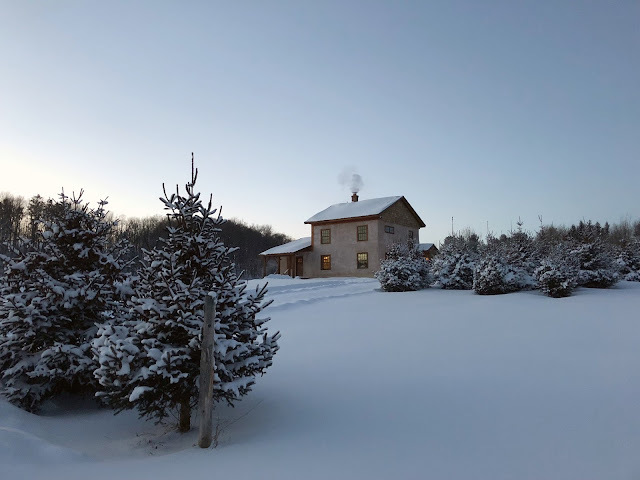 A friend helped us stand them up one evening, but unfortunately, we realized after they were up that they were two inches too tall. Better too tall than two short, but this meant they had be be taken down, re-cut on the bottom, and then stood back up again. It all worked out in the end, but it was seriously frustrating. 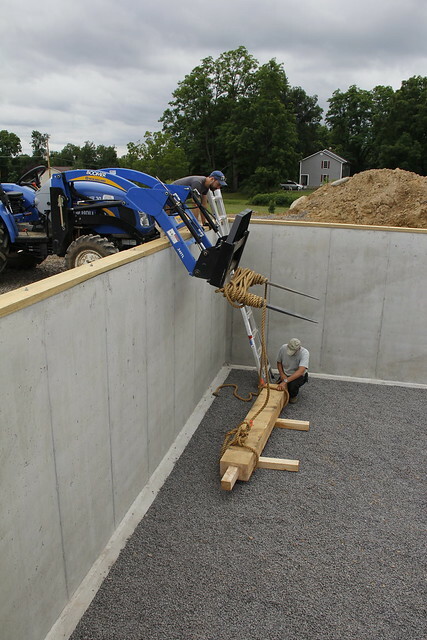 This is how we lowered the posts. Very OSHA-approved. So! 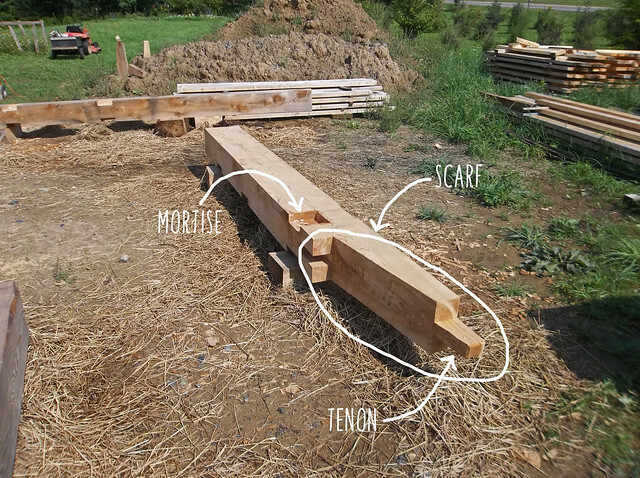 That was a super quick and broad explanation of timber framing. If you're interested in reading more, we followed the method in this book (as taught to us by our designer, Sarah). 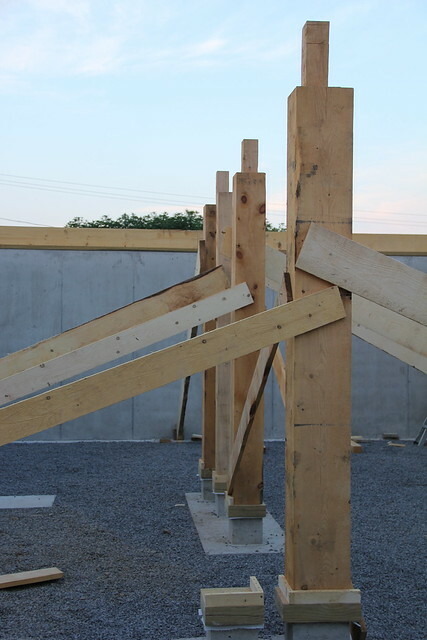 Once I get to the first floor timber frame, there will be a lot more to explain!